The next round of talks between the “G6” (the 5 security council members plus Germany) and Iran on the topic of the Iranian nuclear programme is set for the 17th of March in Vienna. Before this meeting a group of experts will gather at an International Atomic Energy Agency (IAEA) session, also to take place in the Austrian capital. Shifting the site of the Iranian nuclear talks from Geneva to a location closer to IAEA headquarters is a noteworthy indicator of the meeting’s business nature. Topics such as uranium enrichment and cooperating with Iran in the sphere of global nuclear energy use are on the discussion table. Wendy Sherman, the Under Secretary of State for Political Affairs and responsible for representing the US in the Iran talks, was obliged to admit that “a deal with the Islamic Republic may leave Tehran with some nuclear potential, for example, limited uranium enrichment”. Iranian leadership is now proceeding from the premise that the US has recognized Iran’s right to uranium enrichment and to developing programmes for the peaceful use of nuclear energy. In the opinion of Israeli Prime Minister Benjamin Netanyahu, however, even a de-nuclearized Iran poses a “strategic threat to both the Middle East and the world as a whole”. Tel Aviv is not wholly pleased with Iran’s military and economic potential, which even without nuclear weapons places Iran among the ranks of unquestioned regional leaders – as its position will come to be considered in Syria, Lebanon and the occupied territories of Palestine, at least. For Israel’s part, the closing of the Iranian nuclear dossier in the above-mentioned arenas will hardly produce anything fundamentally new in the Iranian position; the leadership of the Islamic Republic of Iran will remain firm in its unwavering ideology of not recognizing Israeli statehood. With Hassan Rouhani assuming the post of President of Iran this stance will remain unchanged, despite fundamental shifts in Iranian diplomacy on a number of other issues. Israel is concerned by the inevitable shift in the balance of powers which will favour an Iran free from the shackles of international isolation and casting off the yoke of US-European sanctions. This will be a completely different Iran; efforts by the Jewish state’s leadership to disrupt the “G6” talks on the Iranian nuclear programme – blaming its successful promotion on the US – are therefore wholly understandable. President Obama’s administration has called upon Israeli leadership to not hinder the negotiation process and continues to justify itself before its key regional allies, constantly aware of the danger of a breakdown in negotiations – caused by its own legislation and encouraged by powerful Israeli lobbying. The US has issued Netanyahu a clear warning against stirring up a campaign to protest negotiations or placing an ultimatum on the outcome of the talks with Iran. The White House has managed to prevent Congress from imposing further sanctions on Iran, and Obama is opposed to the question being raised by Israel yet again. Washington is, for the time being, holding to its decision to allow Iran to retain a small uranium enrichment programme – under the condition that it be subject to control and that an absolute ban be placed on using the uranium enrichment for military purposes. US politicians understand that ongoing talks with Iran are the only way to resolve the issue of its nuclear programme; however, there are a large number of powerful lobbying groups in America which represent the interests of not only Israel, but of Saudi Arabia, which is also opposed to an agreement with Iran. The Monarchs of the Persian Gulf region, headed by Saudi Arabia, have managed to create well-organized, powerful lobbying groups within the US, which operate in diverse spheres, ranging from weapons’ purchasing to representing a US position in the UN which serves their interests. Aided by these lobbying groups the Saudis are able to wield influence over President Obama’s political strategy, although peculiar closeness to Riyadh is in general a distinguishing characteristic of Republicans, who currently control the majority in Congress, rather than of representatives of the Democratic Party. The intrigue of the moment is contained in the fact that Israeli interests and Arab lobbying on Iran’s nuclear programme coincide; both the Israelis and the Arabs have presented a united front against the White House’s efforts to close the Iranian nuclear dossier by way of diplomatic negotiations. It now falls to President Obama and his administration to withstand this new alliance, which, naturally, cannot reflect positively on the consistency of the US position on Iran. The impression being formed is that the American President, once again, does not have the political strength of will to bring the process of normalizing relations with Tehran – begun by him – to a successful conclusion. US Secretary of State John Kerry has stated that Washington will keep a certain number of sanctions in effect, which will prevent Iran from substantially increasing its oil exports. Iran’s reaction to this statement was measured in as much as it hardly came as a surprise for Tehran, primarily due to the White House’s oft-repeated assertions that until the signing of a final agreement there can be no discussion of completely removing sanctions. 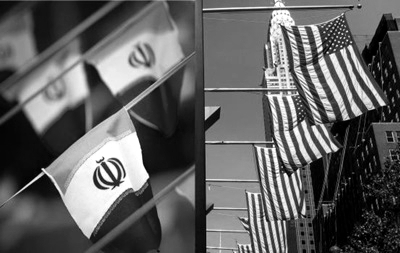 However, Tehran fears that even after it fulfils the required conditions the US will not remove current sanctions, and may even find an artificial reason for Congress to impose a new round of anti-Iranian measures – fears not wholly unfounded. During his address to Congress on January 28, 2014 President Obama remarked that the successes of American diplomacy have allowed them to “halt the progress of Iran’s nuclear programme”. He emphasized that if Congress does decide to pass a resolution on expanding sanctions, he will veto it. The key question today is whether Capitol Hill will heed the White House’s appeals. The US internal discussion on imposing further sanctions on Iran is a matter of serious concern for Iranian leadership. “Unfortunately, what we have observed in the last 2 months does not lend itself to confidence in a natural unfolding of events”, stated Javad Sharif, Iran’s Minister of Foreign Affairs. Earlier, the Islamic Republic was outraged by announcements made by US officials which pointed to the possibility of a military solution to the Iranian issue. Indeed, viewed against the backdrop of Iran’s conscientious approach to cooperation with the “Big 6”, such threats by the US seem like an archaic contradiction to the opinions of both other participants of the talks and to the IAEA evaluation. According to information released in a recent IAEA report Iran has significantly reduced its stocks of highly-enriched uranium over the last months. IAEA experts stated that this is the first instance of such a step in 4 years. On the whole, international experts are noticing Tehran’s compliance with conditions set by the “G6” joint action plan in Geneva. Russia has also given a positive report on the course of talks between the “G6” and Iran. Sergei Lavrov, the Minister of Foreign Affairs, is satisfied in the interest of all sides in a serious and pragmatic approach. The Geneva agreements are being observed, and Iran is giving no reasons to doubt their willingness or further cooperation with partners around the negotiation table. The Kremlin sees no cause for difficulties, but cautions both sides about the inadmissibility of returning to over-politicization of the Iranian nuclear problem. This remark is not without basis, for even within the “G6” there have been attempts by individual countries to resolve complaints against Iran in totally different spheres around the table of nuclear negotiations. France, for instance, appears to differ with Tehran on Syria, essentially taking the position of opposing a peaceful resolution of the Iranian nuclear issue, fearing the growth of Tehran’s regional influence. Interest in Iran’s role as a full member of the regional community after the removal of sanctions and the end of international isolation, no longer burdened by the restrictive measures of the West, is understandable. US foreign policy has also gradually changed shape in recent years. The US refuses to use force in achieving its strategic goals. While continuing to be a threat to Iran, the US recognizes that initial military force has its limits, and that occupation of Iran is practically impossible. The time has come for Washington to reach an agreement with the regime in Tehran, and this will doubtless lead to a shift in the balance of power in the Middle East. Iran is in a position, American aid aside, to transform itself into a regional hegemony. The US will be forced to choose with whom “friendship” will prove more advantageous: with Iran, enacting a balanced foreign policy, or with Saudi Arabia, aspiring to leadership in the Arab world built on the support and sponsorship of terrorist organizations which pose a threat to US interests. If this dilemma can be solved simply by pointing to the US position on commitment to democracy, then the favourable US response to Iran after Hassan Rouhani assumed the presidency becomes understandable. Logically this should mean that President Obama’s administration will no longer give in to pressure exerted by Israel or Saudi Arabia and will indeed bring the nuclear talks with Tehran to a successful conclusion. Nikolay Bobkin, senior research fellow at the Centre for Political and Military Studies, Institute for US and Canadian Studies at RAS, PhD in Military Sciences, Associate Professor, exclusively for the online magazine “New Eastern Outlook”.